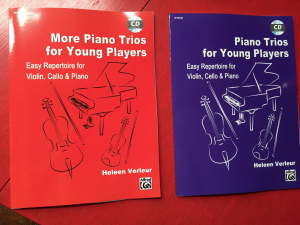 If you scroll down, you can download separate parts for violin and cello of my books: Piano Trios for Young Players. 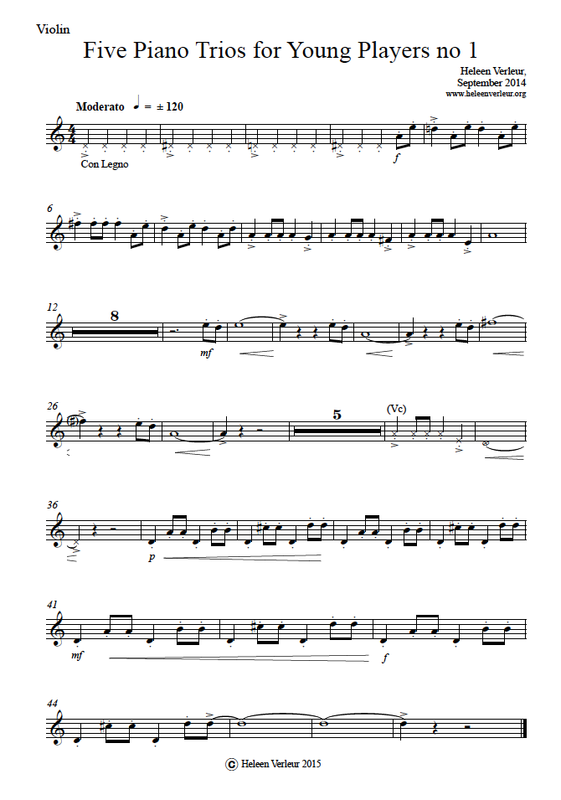 Dutch people could also order a simpler publication of the score at Suzuki Shop (SVN)/The Netherlands: bestellen@suzukiwinkel.nl This version is without cd and titles, but it works fine. The purpose of these serie of books is to give beginning musicians more opportunities for playing together. Beginning piano players usually have few chances for being in an ensemble. This is unfortunate, for playing together is such fun, almost like playing in a pop band. I hope this book will contribute to the formation of many trio ensembles with all kind of mixes of young and adult players, so that they can experience the joy of performing together. In the near future I hope to add to this collection of trios. Please email me to tell me about your experiences with this book, and maybe order a follow-up collection. These trios should be playable for any student with between a few years of playing experience. playful spirit, including parents who would like to perform together with their children. When you play together, you really have to listen to your musical friends … and to yourself. Trio music is a three-part unity, all voices speaking to and through each other, at the same time creating a whole and making you feel connected. 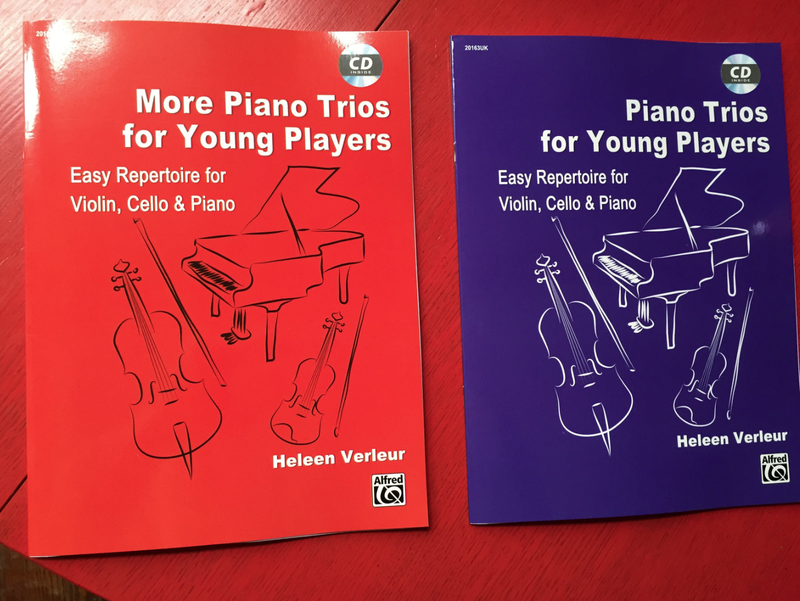 The books contains the music for all three of the voices, but it is convenient to have separate sheets for the violin and cello voices available. These can be downloaded and printed from my website: www.heleenverleur.org. As a rightful owner of the book, I herewith grant you permission for printing this copyrighted material.